Just because you have diabetes doesn�t mean you can�t enjoy life, eat well, and be healthy! In this fourth edition of her best-selling title, Elaine Magee clearly presents the latest medical findings on what causes diabetes, available treatments, and the dietary implications of this disease. She includes everything you need to know to live with diabetes, from using an individualized carbohydrate budget and using the glycemic index and glycemic load, to revolutionary fiber tips, facts about alternative sweeteners, and smart snacking tips. 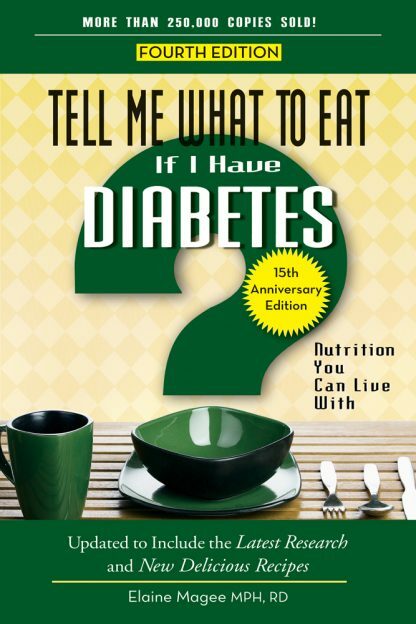 Tell Me What to Eat if I Have Diabetes includes dozens of healthful, practical recipes made from familiar, easy-to-find ingredients, plus up-to-date supermarket and and restaurant advice.